A BJJ gi, otherwise known as a jiu jitsu uniform, is similar to a judo gi, but has tighter cuffs on the jacket and pants, providing less material for an opponent to grab. Our Brazilian jiu jitsu gis are comfortable, extremely durable, and very stylish. Students wearing our jiu jitsu uniforms will benefit in their training sessions because they are wearing the proper outfit needed for grappling. 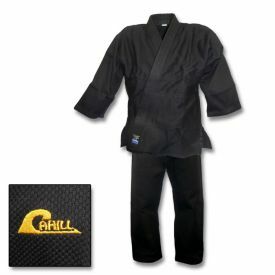 BJJ gis are available in many colors and sizes to fit kids and adults. Over the past 20 years, Brazilian Jiu Jitsu has been increasing in popularity at an incredible rate. Great martial artists like the Machado and Gracie families have helped to validate the incorporation of ground fighting techniques into many of the martial arts. This martial art is known for its incredible take downs, joint manipulations, and ground fighting techniques, which require the use of a very durable Brazilian jiu jitsu gi. We have made it our goal to offer martial artists their choice of quality BJJ gi. If you have any questions about these items, we are standing by to assist you. Our experienced customer service representatives can be reached via email at Service@KarateMart.com or called at 1-800-977-6928. 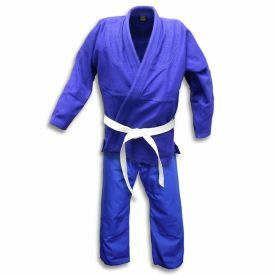 If you would like to know more about the differences between jiu jitsu uniforms and judo uniforms, please read the blog post below. 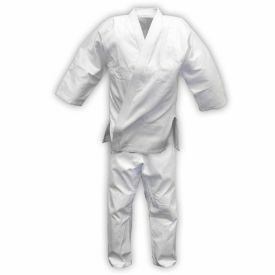 KarateMart Blog: What is the difference between a Jiu Jitsu uniform and a Judo uniform?